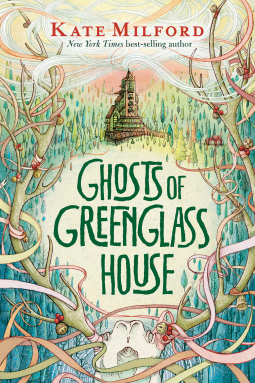 Welcome back to the irresistible world of Greenglass House where thirteen-year-old Milo is, once again, spending the winter holidays stuck in a house full of strange guests who are not what they seem. There are fresh clues to uncover as friends old and new join in his search for a mysterious map and a famous smuggler’s lost haul. This exciting sequel to a beloved book that was praised in a starred review as “an enchanting, empowering read” is sure to thrill both fans and newcomers. Like its predecessor, it’s a smart, suspenseful tale that offers ghosts, friendships, and a cast of unforgettable characters, all wrapped up in a cozy mystery.